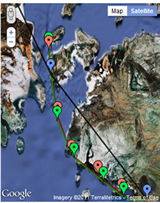 In March 2011 I raced 350 miles to the Magnetic North Pole. At the end of 2009 I decided I needed a challenge that would stretch me, not just a little bit, but a lot! I was pushed to my limits physically, both with the training and particularly during the race. I was pushed to my limits mentally with the cold (did I tell you that I don’t do cold?). I was pushed to my limits pyschologically walking 14+ hours /day with only myself to ‘chat’ to for the most part. With Climate change the frozen North Pole may not be around in 20 years. In addition I wanted to raise money for the Jamie G Sporting Trust. The Jamie G Trust provides funds to sports clubs in the local area. These local sports clubs provide a great environment for children to learn new sports, make friends, get active and play competitive games! They are an essential part of the community. The clubs are nearly all run by volunteers, who give up large amounts of their time to coach our kids, and give them valuable life skills. The Jamie G sporting trust was set up in memory of Jamie Gentleman, who sadly died just before his 14th birthday from dilated cardiomyopathy. Jamie was a keen, talented sports man. 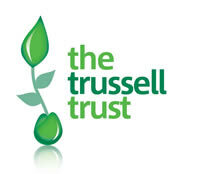 The trust was set up to promote, fund and encourage the children to play sport. The Trust is setting up a formula that can be easily rolled out in other local communities to encourage children to participate in sport and be active. I was so far outside my comfort zone. Trying to raise sponsorship and fundraising for my charity. Learning all about social marketing, blogging, tweeting using facebook …. My training moved my fitness onto another level and I hurt in places I never knew I had muscles! This challenge was certainly stretching, both mentally and physically.